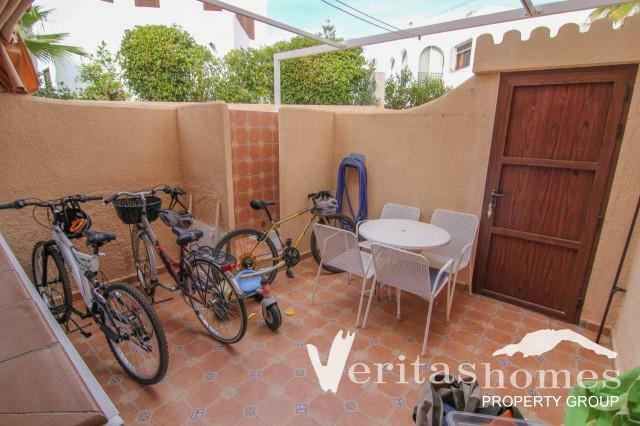 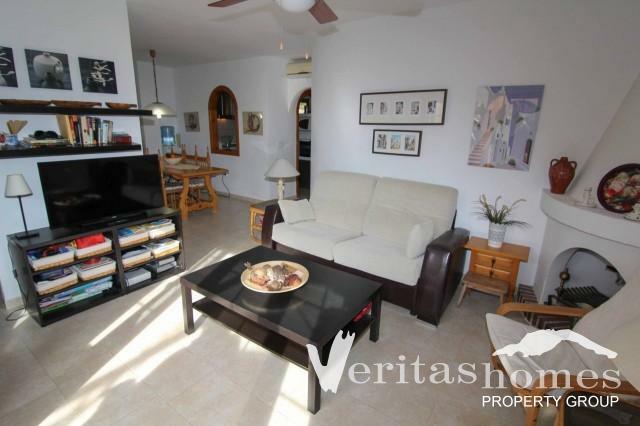 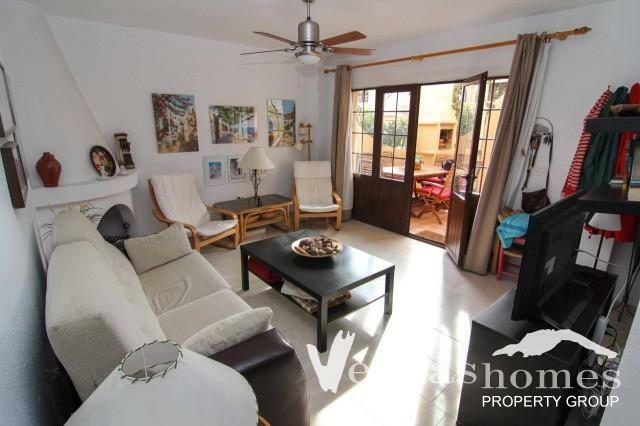 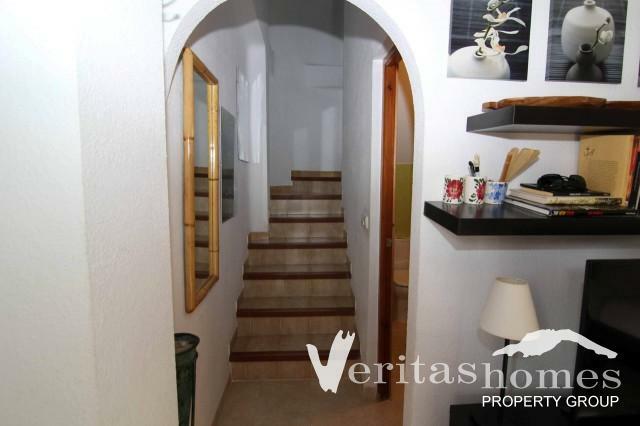 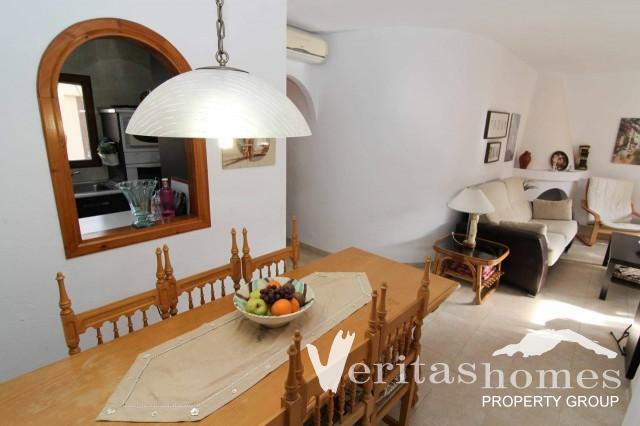 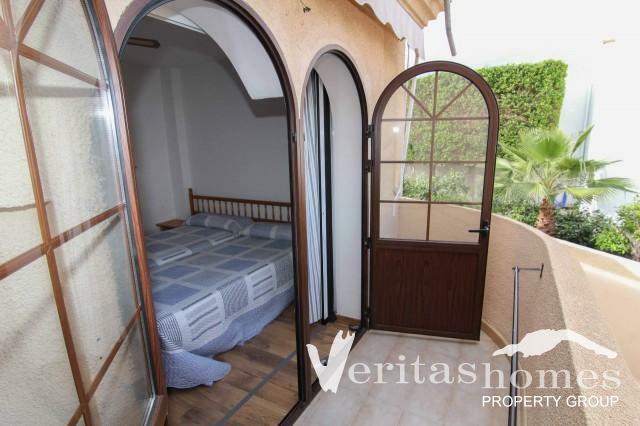 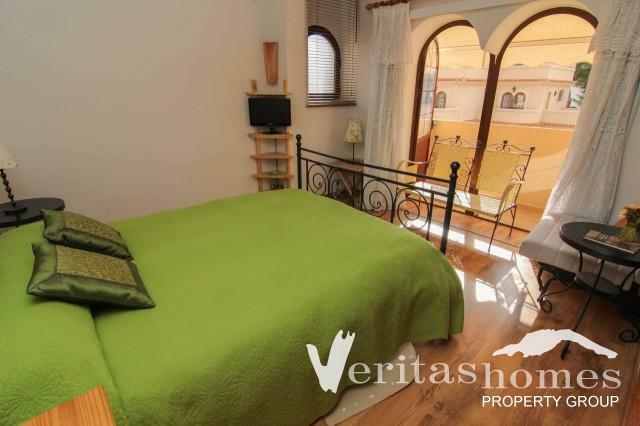 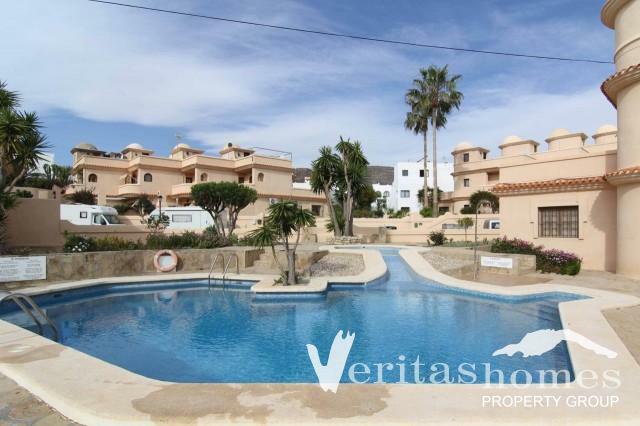 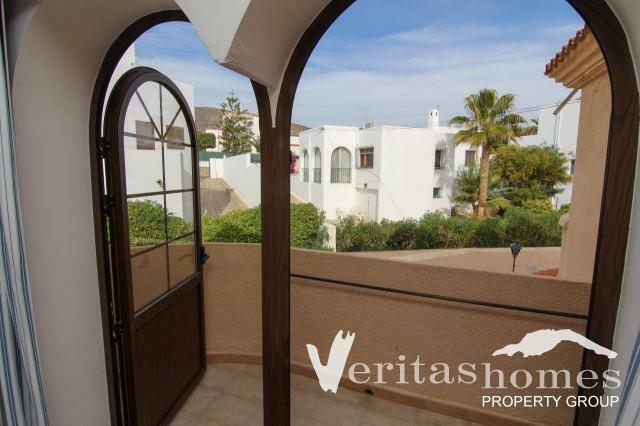 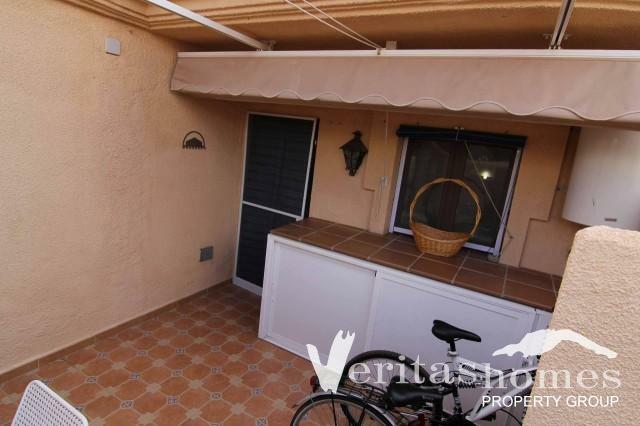 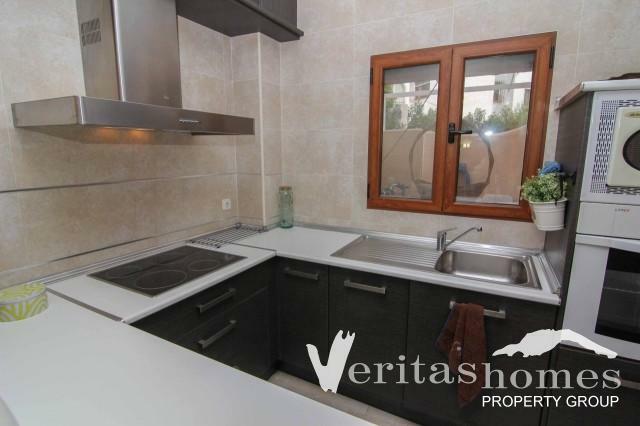 2 bedroom / 1.1/2 bathroom Moorish style Townhouse on the sought after area of Vista Los Angeles, Mojacar Playa within walking distance to the commercial center, the beach and all amenities and services on the beach front. 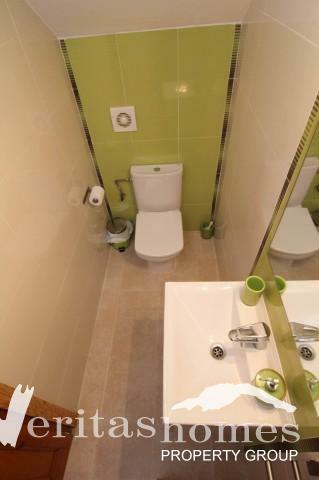 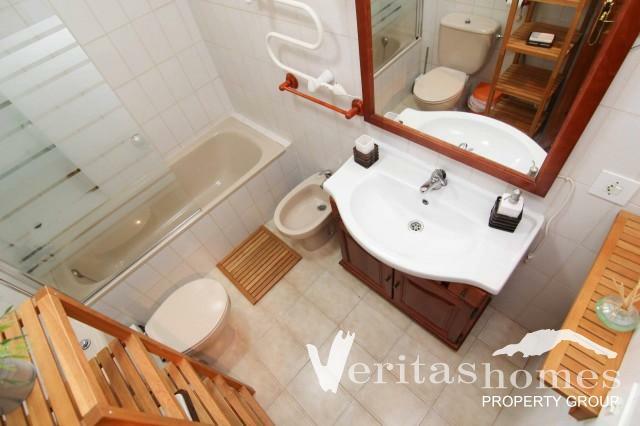 The property has a total built area of 89 mts² built on two levels. 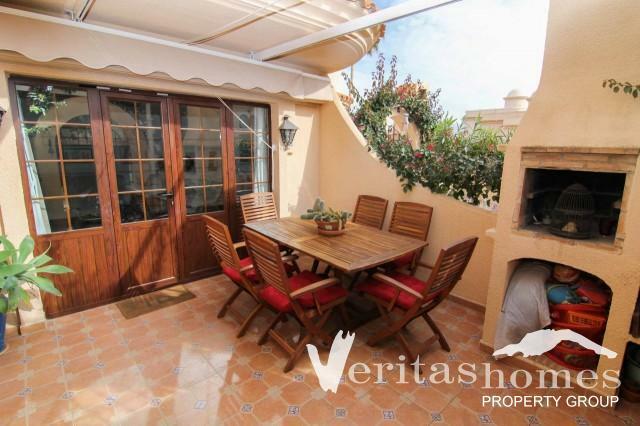 The ground level has a front terrace with built in BBQ, L shape living / dining room with a decorative chimney, separate kitchen, cloakroom and patio. 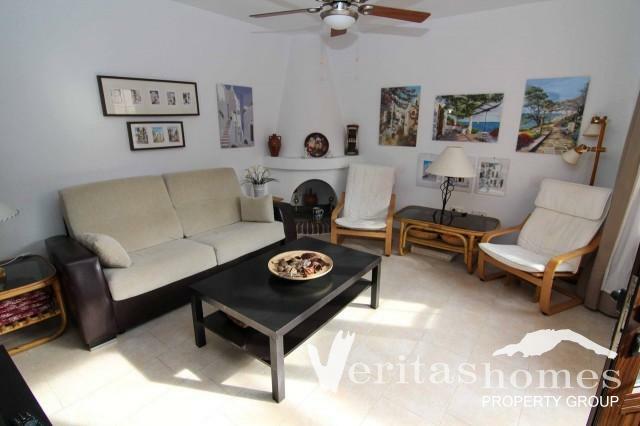 The upper level is comprised of hallway, 2 double bedrooms both with terraces and family bathroom. 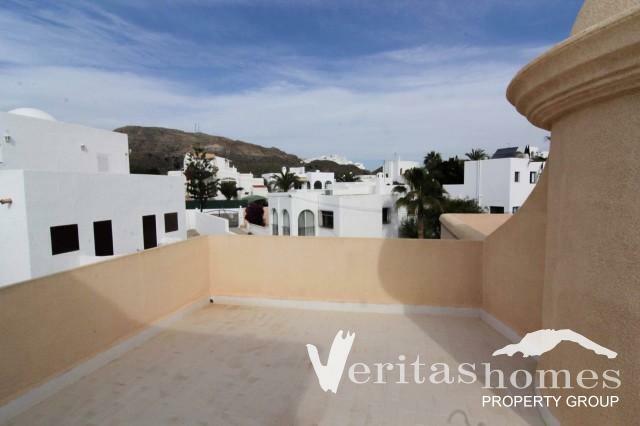 It also benefits from a large roof terrace with 78 mts² offering 360° views. 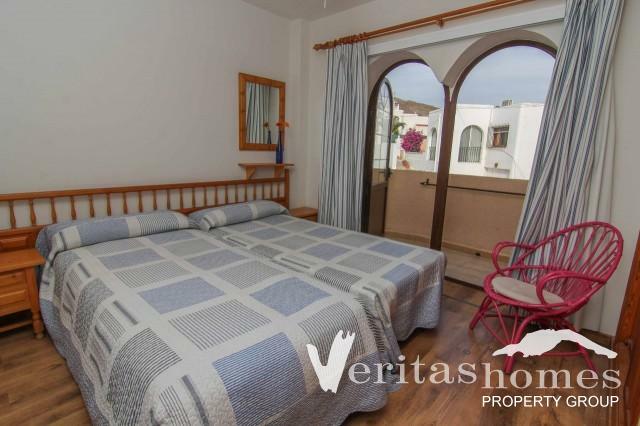 The property benefits from air conditioning (hot and cold), ceiling fans, double glazed windows, awning in the terraces, etc. 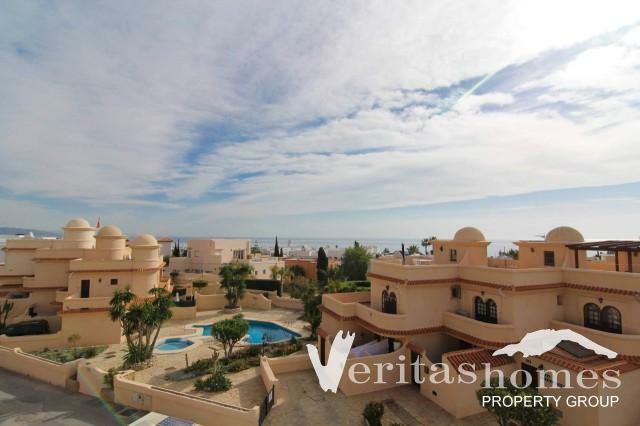 To book a viewing appointment or to request more information please visit at office or contact us via phone or e-mail.